Baltimore, on the east coast of Maryland, is more than a once-great port city. Although it still has a fine nautical background, it has also grown into a modern, cosmopolitan city with world class museums, a glittering skyline of buildings, a smartened up historic quarter and an excellent eating out scene. Above all, it is renowned for its friendliness. 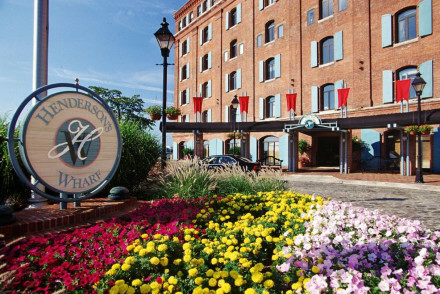 Our range of the best places to stay in Baltimore, lets you discover all sides of this historic city. You will inevitably be drawn to the harbour, the best place to start. Here you'll find the National Aquarium, a seven-storey, glass-pyramid-topped building with 17,000 creatures, over 750 species, shark tank and rooftop rainforest. Stroll along Inner Harbor to the Baltimore Maritime Museum then explore the cobblestoned streets of portside Fell's Point, once the centre of the city's ship-building industry whose gentrified 18th-century buildings house intriguing shops and restaurants. This area is a good choice for dining or for a drink at one of the lively neighbourhood bars. One of the finest views of the city is from the 178-foot-tall Washington Monument. Afterwards, explore the Mr Vernon district, the city's oldest, with its 19th-century buildings and stunning George Peabody Library whose central atrium is ringed with five stories of cast-iron balconies. The collection contains 300,000 volumes, many dating to the 18th and 19th centuries. Other museums include the Maryland Historical Society, which houses a staggering collection of curiosities, the American Visionary Art Museum, and the home of the poet Edgar Allan Poe. One of the city's nicknames is 'charm city', due to its friendliness, something you're sure to discover when you choose one of our best places to stay in Baltimore. The good value, family friendly Hotel Brexton offers a quirky mix of rooms, from traditional four-poster to bold contemporary. Breakfast only, it's within strolling distance of a great choice of restaurants. With original Tiffany light-fittings, marble staircases and sleek, contemporary rooms, Hotel Monaco is a stylish choice. Plus there's daily wine-tasting. Combining original 18th-century interiors, antique furnishings and elegant public areas - plus outdoor dining - The Admiral Fell Inn makes a charming spot on the waterfront. 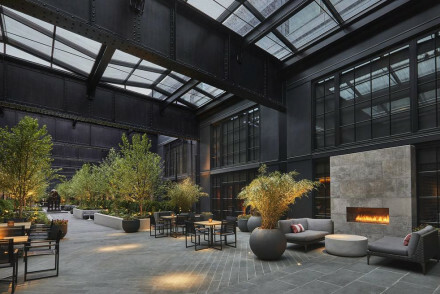 Exposed brickwork, private terraces and handsomely large windows makes this converted tobacco factory, The Inn at Handerson's Wharf, a luxury choice. And there are personal butlers, too. 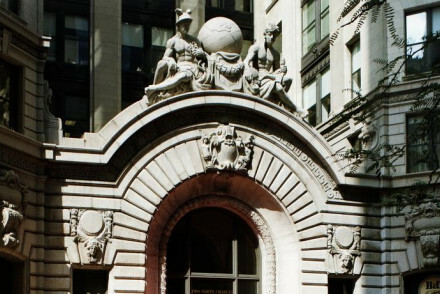 The luxury 5* Ivy Hotel was built in 1889 and offers elegant accommodation in downtown Baltimore. The rooms are designed in a traditional manner but with plenty of colour to liven things up, whilst meals at their superb Magdalena restaurant aren't to be missed. An upmarket and classy stay! If you'd prefer a self-catering option this holiday, don't hesitate to visit our online partner Booking.com for a selection of centrally located properties, perfect for exploring all the city has to offer. Fly to Baltimore–Washington International Airport located 19km (12 miles) from Baltimore with a shuttle bus to the Amtrak train station just off airport grounds. The airport flies to most major cities in the U.S. along with several International destinations including London and Frankfurt. Catch a train to Baltimore with frequent Amtrak services. There's also services between Baltimore and Washington D.C. There's also plenty of bus services, including routes from New York. Best time to visit - the Summer from June to August is peak time to visit, with lots of things to see and do. 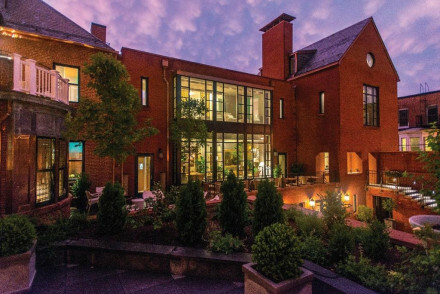 An 1881 Queen Anne style, seven-storied boutique hotel. Rooms vary in style with four poster beds or modern furnishings, all with mod-cons, bathrooms and a daily breakfast. 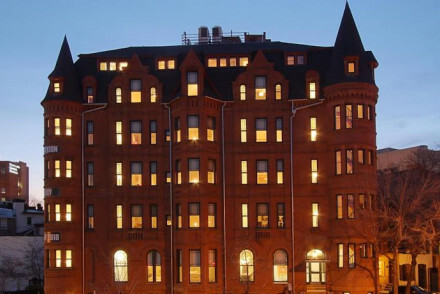 Location is perfect for local exploring, discovering Baltimore's history and in close proximity to Washington DC. Sights nearby - Try the boat tours to explore the city, or even a water taxi. Local markets - Broadway Pier. A 1906 Beaux Arts gem with original Tiffany fixtures and marble staircases in the heart of Baltimore. The modern, spacious rooms offer city views. B&O American Brasserie whips up locally sourced American cuisine and do not miss wine hour every evening. Gym and business facilities also available. Sights nearby - Downtown Baltimore offers a historic neighbourhood and a range of sights. Fishing - Check out the harbour. 18th Century boutique resting on Baltimore's historic waterfront offers scenic boat trips and ghost tours. Spacious rooms are notably comfortable with antique furnishings. Tapas Adela serves up delicious cocktails and a Spanish menu. Location is perfect for local exploring for all the family. Sights nearby - Try a Baltimore Water Taxi to see the city from the water. Local markets - Broadway Market and Pier are a great afternoon trip. Personal butler service ensures this old tobacco factory fits the brief. In a quiet corner of Fell's Point on Henderson's Wharf you'll find a charming inner courtyard garden overlooked by large, modern rooms, some with views of the sea. Explore fine dining and good pubs on this historic waterfront. Sights nearby - The Marina at Henderson's Wharf, on the doorstep, is a great place to see the boats of the seas. Once a dancehall for the floods of immigrants entering the US, Recreation Point now holds a trendy design hotel that is taking Baltimore's waterfront by storm! The cool interiors are matched with fantastic service and a range of show-stopping eateries and bars. With an outdoor pool and fab location! 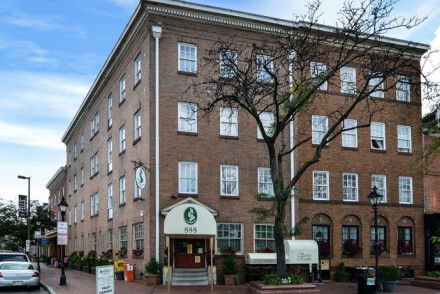 The luxury 5* Ivy Hotel was built in 1889 and offers elegant accommodation in downtown Baltimore. The rooms are designed in a traditional manner but with plenty of colour to liven things up, whilst meals at their superb Magdalena restaurant aren't to be missed out on. An upmarket and classy stay! Total relaxation - Luxurious accommodation and extensive spa facilities at your disposal!